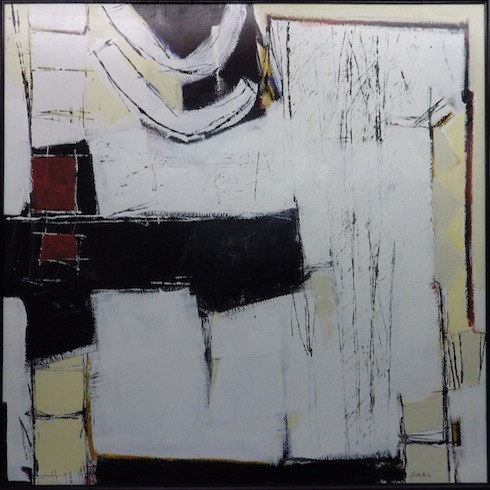 Abstract art uses a visual language of form, color and line to create composition. This abstraction, with no trace of any reference to anything recognizable, indicates a total departure from reality. Creating a visual dialogue, with no preconceived idea of what the finished piece will look like is extremely surprising and rewarding — a constant act of self-discovery. I care deeply about shapes, line, composition, spontaneity, and texture. Learning what I need and what I don’t need are the essentials in my work and also in life. It is through many hours of dialogue with the painting that I create an intimate relationship, which will eventually engage a conversation with the viewer. Order, discipline, and observation constantly lead me to exploration.